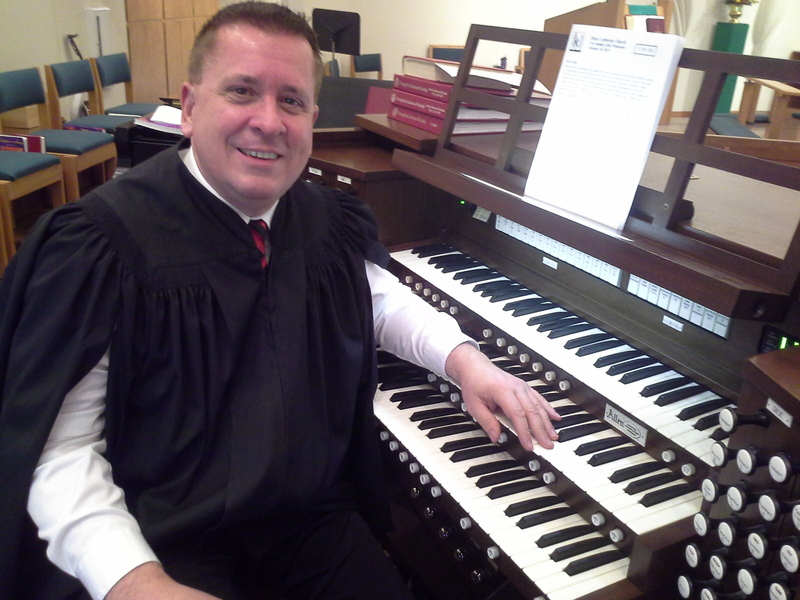 Walt Strony is the new organist at PEACE Lutheran Church, and can belt out a Bach toccata, inspire a revival hymn and stir nostalgia through a pop tune with equal passion and ease. Organist Walt Strony, now on staff at Peace Lutheran Church in Grass Valley, is an internationally acclaimed organist, recording and concert artist, instrument designer, consultant and teacher. He plays at 8:45 and 11 a.m. Sunday worship services. In one important way, these three genres of organ music are the same: Through music, the artist evokes emotion that enhances the listeners’ experience, connecting each to something beyond both. Strony became the staff organist for the Grass Valley congregation in July, succeeding the late Paul Perry, who died in February. Strony’s goal at PEACE is to “grow on what we have. We already have a wonderful foundation in music and a beautiful facility,” he said. “I want people to know, if you want to hear great music, you want to go to Peace Lutheran Church,” he added. Strony is a nationally lauded player of both the theater and classical organ, specializing in authentic scores for silent movies. He has recorded nearly 30 albums, is sought after as an organ consultant, gives seminars and authored a popular book on playing the organ. The Allen Organ Company honored him by building a model named for him. What: Get relief from the holiday rush! Cost: Free – Just like God’s love! Strony was 7 and living in Chicago when he started lessons. His first teacher had accompanied silent movies in the 1920s, when organs both covered the clack of the projector and fanned audience emotion. Nearly four decades later, high fidelity was the cutting edge in sound technology, and it amplified enthusiasm for the pipe organ, Strony said. Strony landed his first paid gig at age 11 playing Sunday worship services at Wicker Park Lutheran Church in Chicago. He continued to study the organ at nearby Sherwood Music School, where he also learned the viola, choral music and conducting. Nostalgia starting in the 1970s drove the opening of many large pizza parlors with pipe organs. In Phoenix, Strony played at Organ Stop Pizza for 10 years, his repertoire ranging from classics to the Great American Songbook. Strony continued playing for churches, theaters and concert halls and accompanying silent films at festivals across America. In 1991 and 1993, he was named “Organist of the Year” by the American Theatre Organ Society. In 2011, he became the youngest person to be inducted into the society’s Hall of Fame. Emotion of the holidays will be featured in December at PEACE, when Strony and guest musicians will present free mini-concerts at 4:45 p.m. Wednesdays before Christmas. A short service of evening prayer will follow — we will use the moving Holden Evening Prayer, which is a hauntingly beautiful concert all by itself! No offering will be taken during the service — it is a gift from PEACE to our community! Walt Strony also plays at 8:45 and 11 a.m. worship services each Sunday. See the box for more information, or call the office at (530) 273-9631. For more about music here at PEACE, click here. For more about Walt Strony, click here to visit his website.